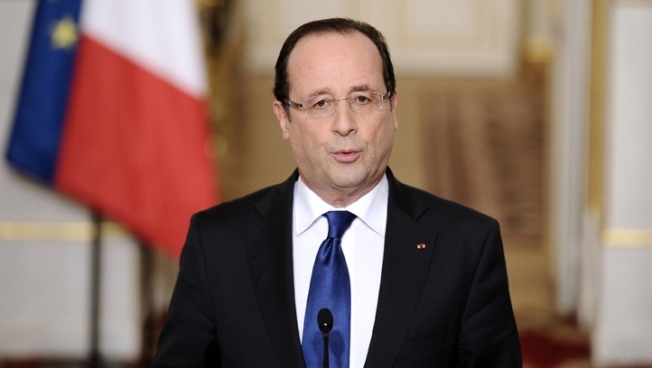 France's president Francois Hollande. Hollande may push a plan to impose a tax similar to France's levy on television on tech companies like Apple and Google. The tax funds cultural efforts. Sales tax, meal tax -- culture tax? Mais oui. President Francois Holland will decide this summer if France should slap "new taxes on technology giants like Apple and Google" to "finance cultural projects," Reuters reported. The notion isn't quite as foreign as it may sound to Americans. Already, television users, TV rand radio broadcasters and "Internet service providers" in France pay fees "to fund art, cinema and music," Reuters reported. Those fees aren't being paid by the likes of Apple, Google, and Amazon, and the idea is that these technology businesses could also pay to help creators of content. The French government notes that its people spend more money on hardware than they do on content, Reuters reported. Europe's more left-leaning governments -- Hollande is a card-carrying Socialist; the government replaced a right-leaning government led by Nicolas Sarkozy -- have of late been at odds with American-based tech firms. Forces in France helped block a purchase by Yahoo of a stake in video site Dailymotion, and earlier this year, German and French interests dropped a bid that would have made Google pay news sources for Google news links to articles, Reuters reported. Google did pledge to invest 60 million euros in a news-support fund, Reuters reported.